We are in February and it already seems like it’s flying! Or is that just me? 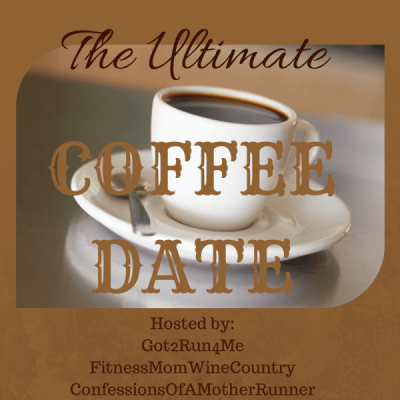 Since it’s the first Saturday of the month, I’m linking up with the Ultimate Coffee Date, hosted by Coco, Deborah, and Lynda! It’s a fun way to share what’s going on in your life and get to know other bloggers, so check them out! If we were having coffee, I’d tell you…You know how I recently talked about my nervousness about being a race ambassador? I really appreciated all the kind words and reassurance I received from everyone. Thank you for the support, it really means a lot. So guess what happened? 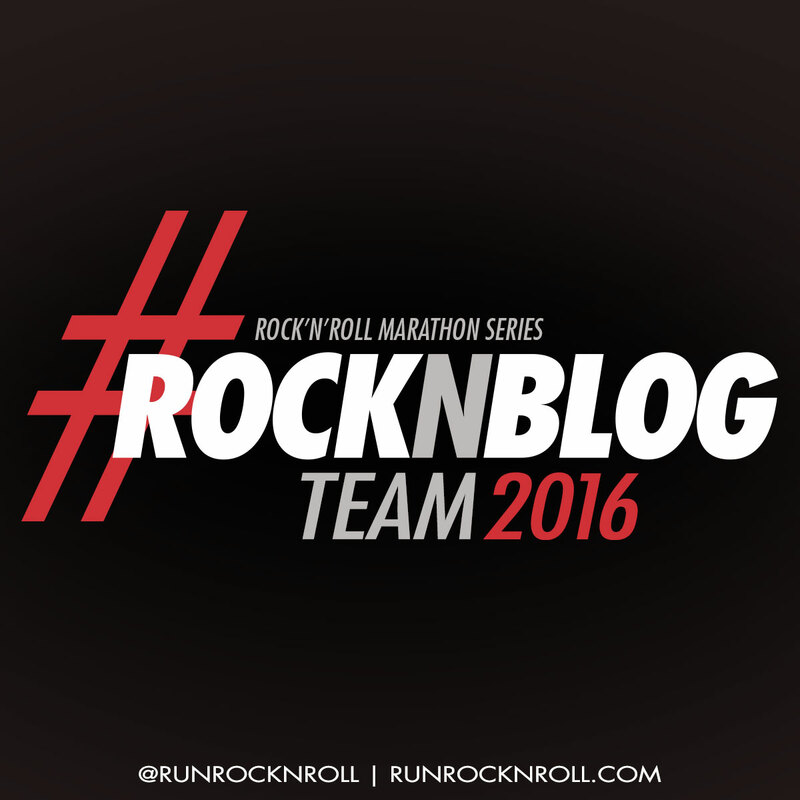 Earlier this week, I was selected to be part of the Rock ‘N’ Blog team! Seriously! I thought it was such a long-shot that I would be chosen, and yet here I am! They look to be a really fun group, so I’m looking forward to meeting new people! Now I have to decide which Rock ‘N Roll races I will do this year. I just signed up for the Rock ‘N Roll DC on March 12! Maybe I’ll see you there? I’ll have a discount code to share with you soon for $15 off any half marathon or marathon in the U.S. and Canada. It’ll be posted on the race discounts page, so please stay tuned! If we were having coffee, I’d tell you…while I’m looking forward to abstaining from alcohol for Lent, I can’t deny that I’m enjoying this last week of drinking! We’ve gone out a couple of nights with friends and I enjoyed a couple of beers and cocktails without regret! Let’s call it an extended Mardi Gras…I won’t be able to drink any special cocktails for Valentine’s Day, but I can at least look forward to some delicious beer while noshing during the Super Bowl on Sunday! 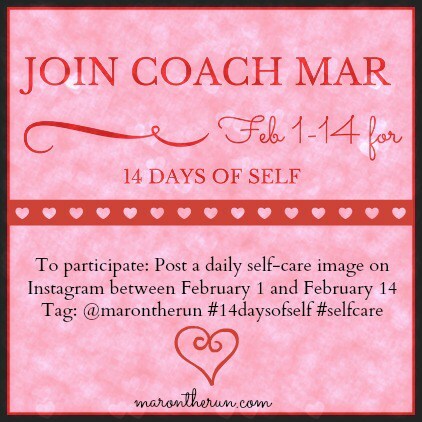 If we were having coffee, I’d tell you…I’m participating in Mar’s 14 Days of Self Challenge for self-care, but this first week hasn’t been going so well. My sleep patterns have been erratic and many of my good intentions fell by the wayside. But after my run on Friday, I took the time to take an Epsom salt bath with a really nice goat milk soap that I received for Christmas. I felt amazing! I’m in desperate need of some TLC, so hopefully this weekend I can keep it up! My hair is my next big challenge…it needs a LOT of work! If we were having coffee, I’d tell you…work is going pretty well and still keeping me very busy. It’s been great to feel that I’m contributing to an important project, and I’m hoping that we make some big moves in the next couple of weeks! I do need to work on my wardrobe, though…it’s time to buy more professional clothing! President’s Day sales, anyone? If we were having coffee, I’d tell you…training mode is really kicking into high gear for the Cherry Blossom 10 Miler. Running is starting to take over my life again! I’m still balancing the running with strength training, but it has been pretty exhausting each night! So I hope I settle into a groove soon. I just began fundraising for the Children’s Miracle Network Hospitals as a Social Runner for Cherry Blossom. I would appreciate any small donation, it’s going to such a great cause! If we were having coffee, I’d tell you…we’re moving forward in the home buying process: We have a realtor! We met our prospective realtor last weekend for an “interview” and we really hit it off. Funniest thing ever? He’s a runner too! So I think that with his experience and fun personality, we should have a great experience as Bret and I make the hugest purchase of our lives! I’m really looking forward to what lies ahead! So many houses to see! What would you share with me over coffee? Are you running any RnR races this year? What do you like to do for self-care?